An overnight sail after a day spent in Montpelier and Sète, France (read about it here) the ship anchors at Monte Carlo, Monaco. 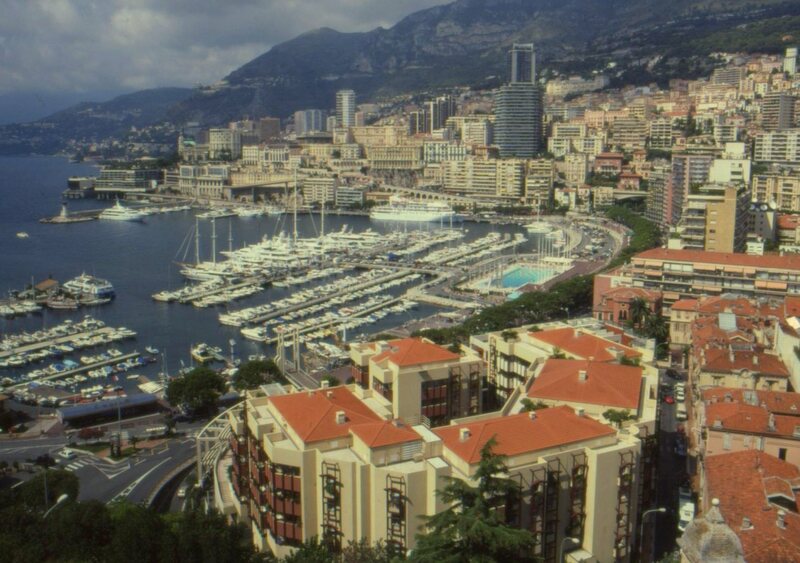 The harbor sits like the stage of an amphitheater upon which the rest of Monaco looks down from the surrounding heights. Riding at anchor here are dozens of luxury yachts so large as to almost defy belief that so many private citizens can afford them. Most of the hotels, condos, restaurants, and shops are of modern design. 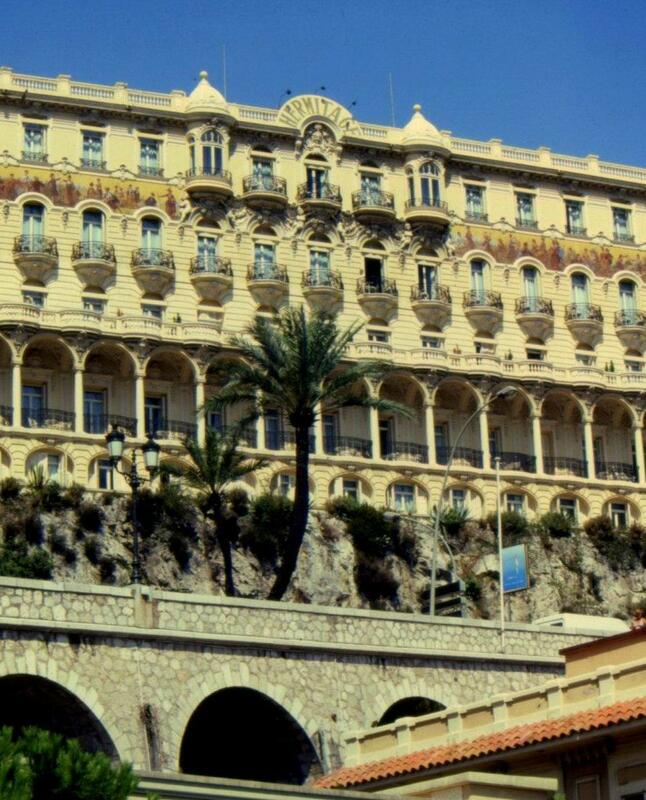 Fortunately, a few surviving structures like L’Hermitage, a hotel dating from the Belle Époque, evoke the feel of this place when rail service first connected it to Paris and the casino at Monte Carlo was brand new. The St. Nicholas Cathedral is only 150 years old, but sits on the site of the original cathedral of the same name built in 1252. 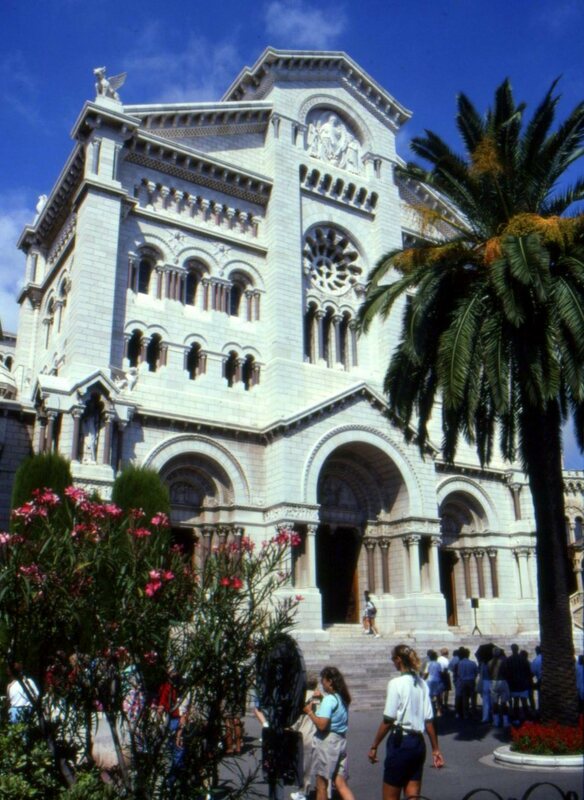 It’s the home of the well-known Cathedral Choir School, and it Little Singers of Monaco perform at its masses during the school year. 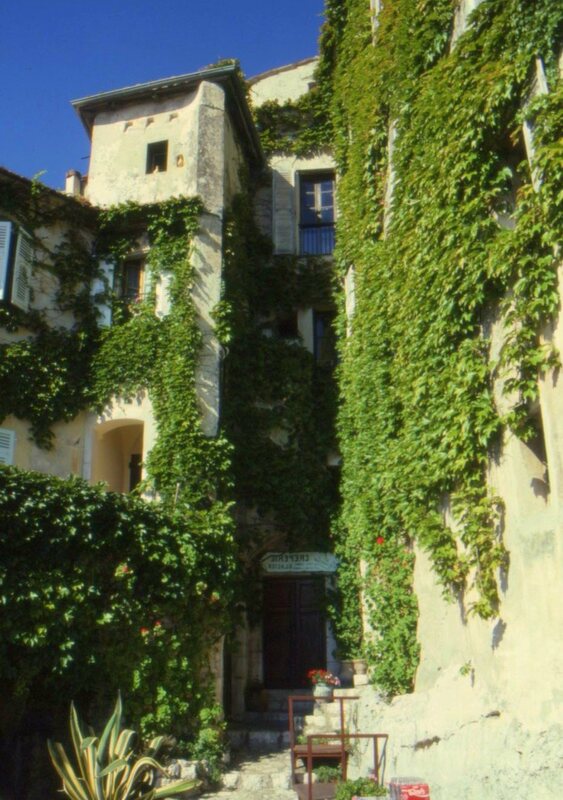 Other historical architecture worth seeing is the Grimaldi Palace. 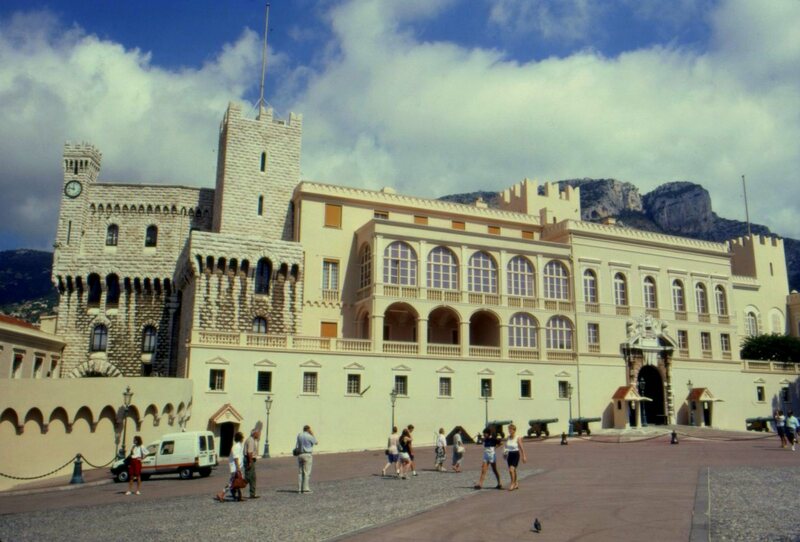 It’s been the home of Monaco’s ruling family for more than 800 years and is the one time home of Princess Grace Kelly. 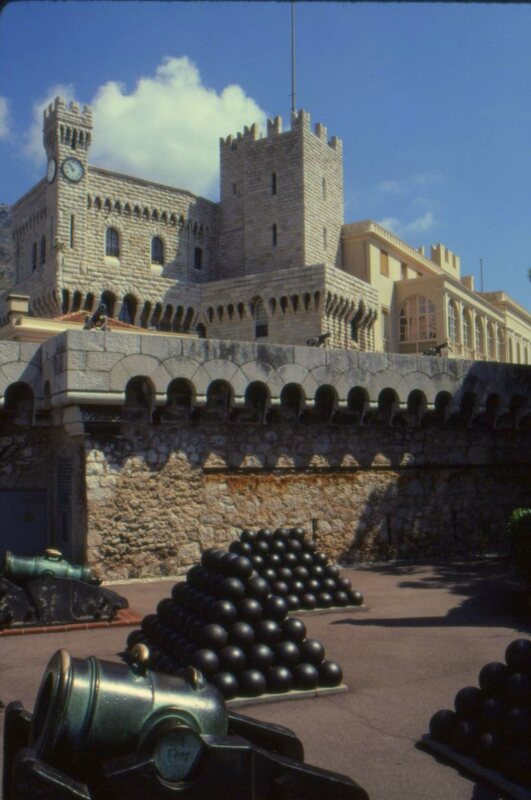 Because Monaco’s land area is too limited to afford its royalty the luxury of multiple residences, this palace has been remodeled and expanded throughout its 700-year history and so it’s a slice through the layer cake of history. Terrain and language aside, Monte Carlo has very much the feel of Palm Beach. 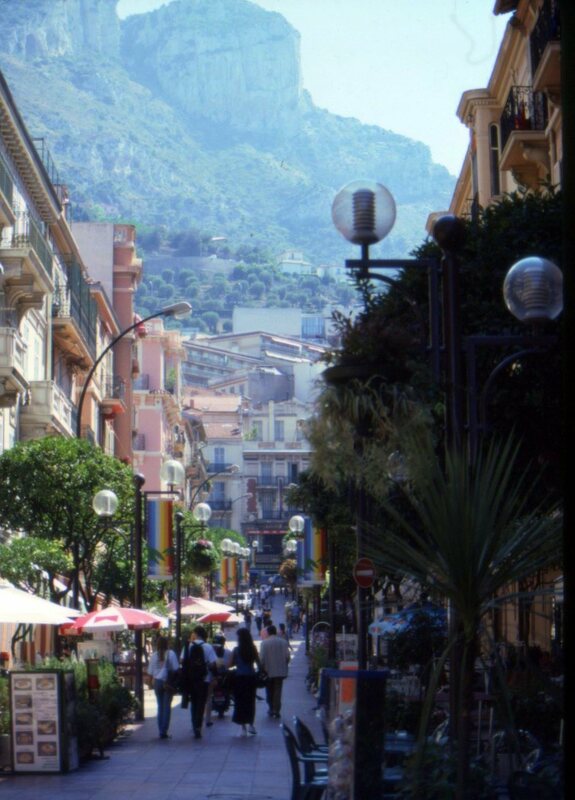 Immense wealth is now sheltered in – and managed from – Monaco, and many of its owners have at least a pied-à-terre in the Principality. Chic shops and restaurants prosper here in abundance. Duty-free shopping for designer goods holds little appeal for me, and I instead take a 5 mile drive into France where the historic village of Eze overlooks the Mediterranean Sea from a 1,500 foot promontory, accessible by roads so narrow that motor vehicles cannot pass into the old town. The terrain here seems better suited to mountain goats than to people, and the modest uphill climb from the parking spot is the first of several. 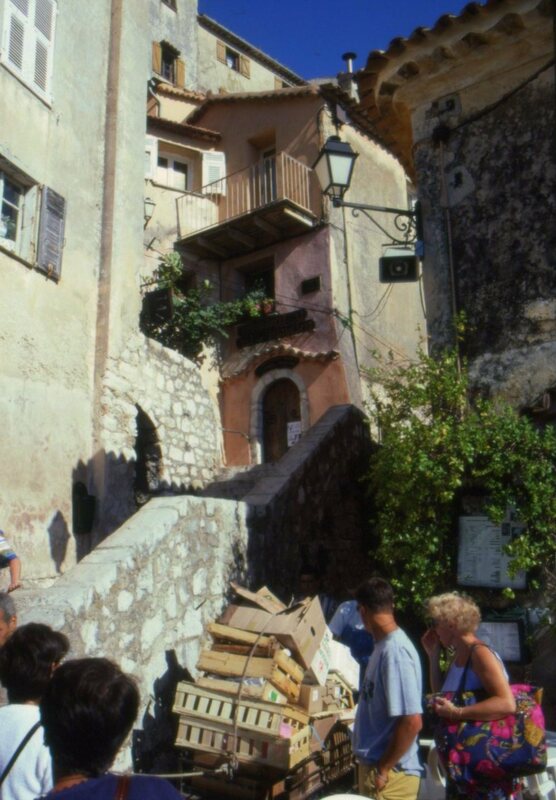 Here goods are trundled through narrow cobblestone streets on hand-trucks and wrestled around switchbacks and up endless stairwells. An easily defended coastal lookout, this site has been highly prized for nearly 4,000 years and has been occupied by the Phoenicians, Romans, Italians, and Moors. 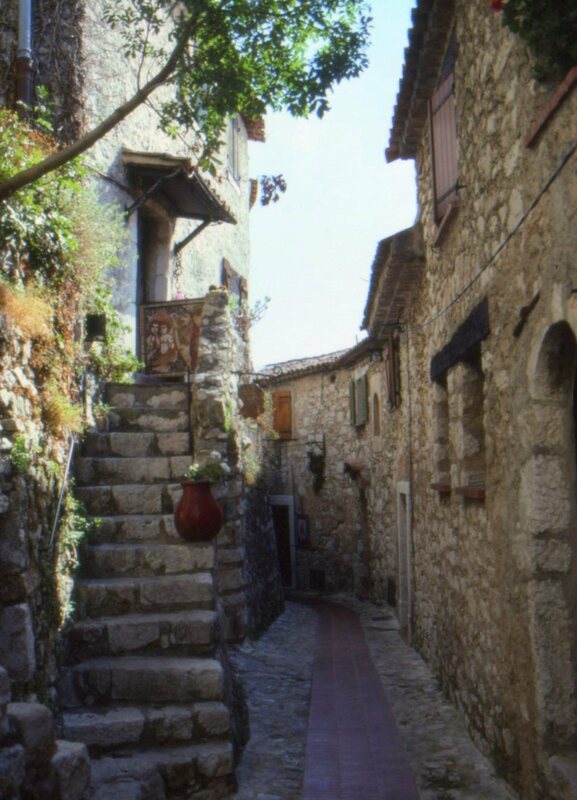 There are several high-end hotels in the area, but the most interesting hotel was one cobbled together from adjoining homes on a pedestrian-only lane which left every doorknob on the lane sporting either a “MAID SERVICE REQUESTED” or “DO NOT DISTURB” sign! 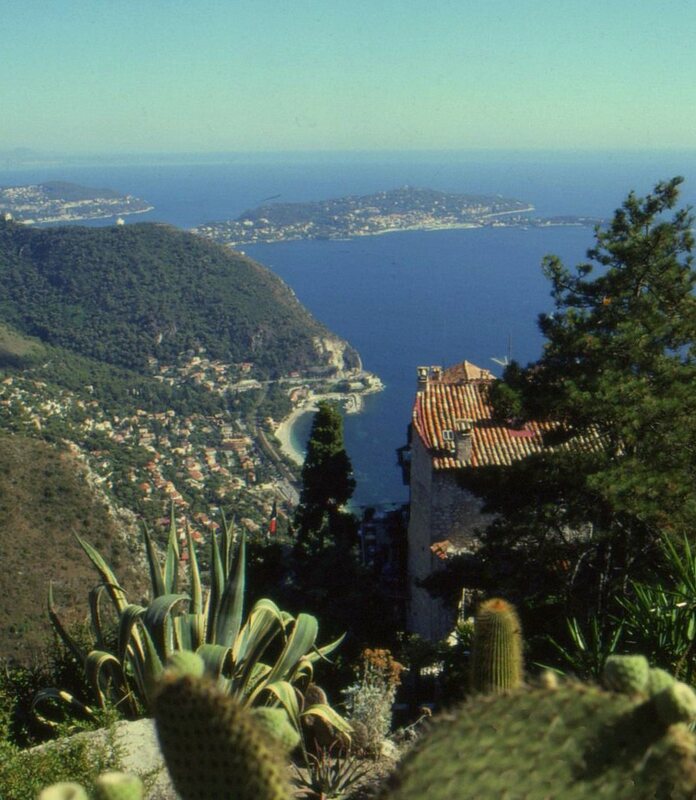 Eze is also the site of a botanical garden created after World War II and known worldwide for an impressive collection of cactus and other succulents from around the Mediterranean and the Americas. The cruise ship is scheduled to hoist anchor late in the evening. Passengers straggle aboard laden with bags of purchases from the shops of Monte Carlo. As the boat leaves the harbor the lights and sounds of parties in progress on the big yachts at anchor carries across the water. 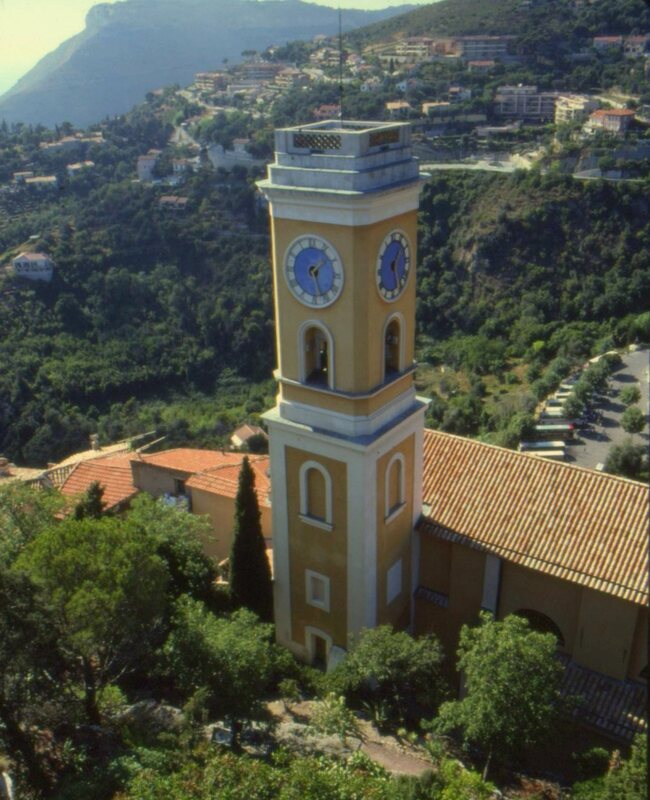 My takeaway is instead the memory of looking down at Monte Carlo from the vantage point of the Corniche, and out over the Mediterranean through the charming picture frame of medieval Eze. 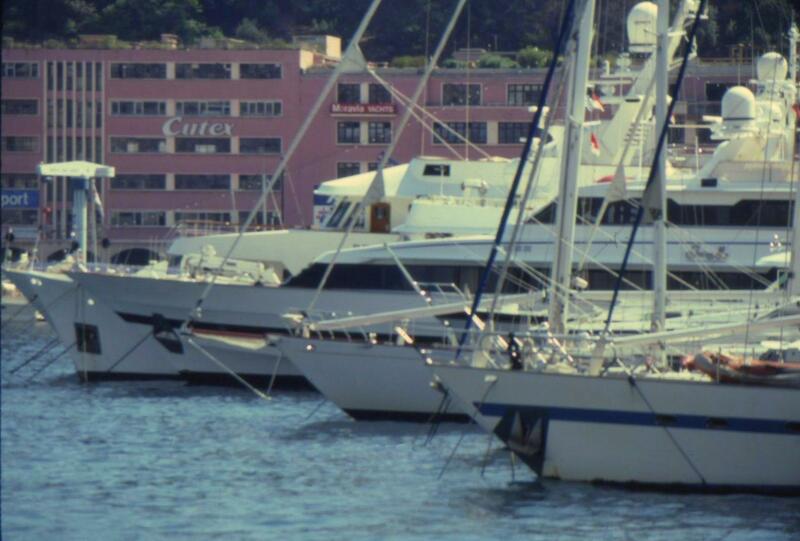 Tomorrow we’re scheduled to drop anchor in Portofino, Italy.